A pioneering eco-friendly office and workshop space. 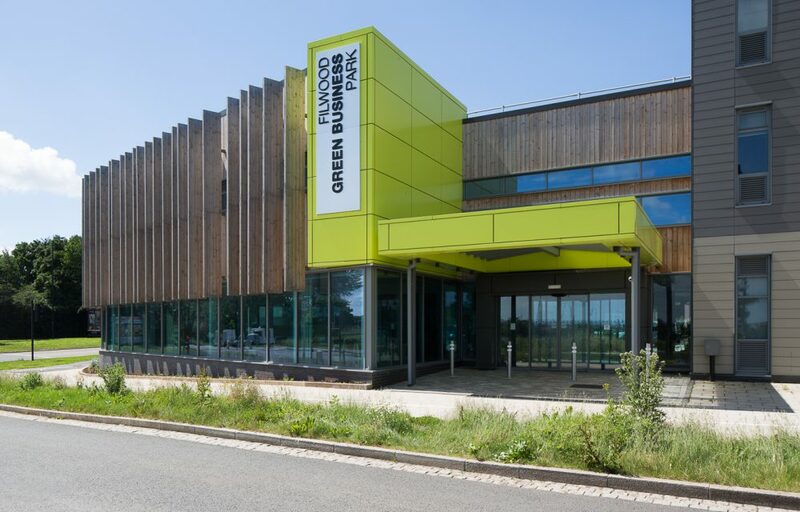 Filwood Green Business Park was designed as the landmark building to celebrate Bristol’s year as Green Capital of Europe in 2015. Whether or not that year was a success for the city causes much debate, however, it did spark the investment needed for greener buildings. In particular, one designed to regenerate a whole area and help smaller businesses come to life. We designed Filwood Green Business Park with input from the local Knowle West community and Bristol City Council. 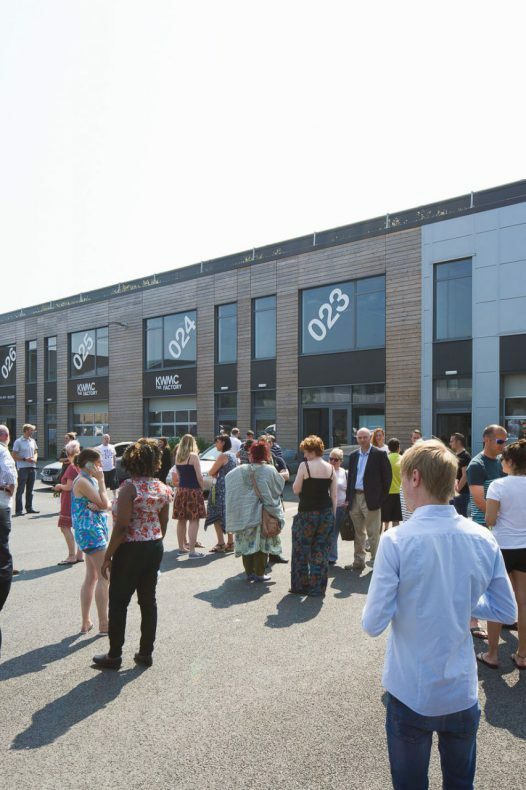 It provides a mixture of offices and workshops, with a central hub for people to meet, eat, work and chill. The idea was to create a range of spaces that would suit small, creative businesses, while giving them space to grow. There are no long term contracts to tie them down and Filwood’s managers host regular events to help the business owners get to know each other (but, more on that later). The business park was designed to provide employment for the residential area, so we always envisaged there being a strong community element to it. With that in mind, it all started with design charrettes, daylong events where you invite all of the interested parties to find out what they want; the clients, the consultants, the locals. We knew that in order to get the European funding the project needed to focus on sustainability. Luckily, the community also wanted a very environmentally friendly development, with the idea that the businesses here would also have a ‘green’ focus. Just as we got planning permission George Ferguson became mayor for Bristol, and with Bristol Green Capital starting, helped push the project forward with real momentum. With the lack of businesses in this area of the city, the idea was for Filwood Green Business Park to help regenerate the area. 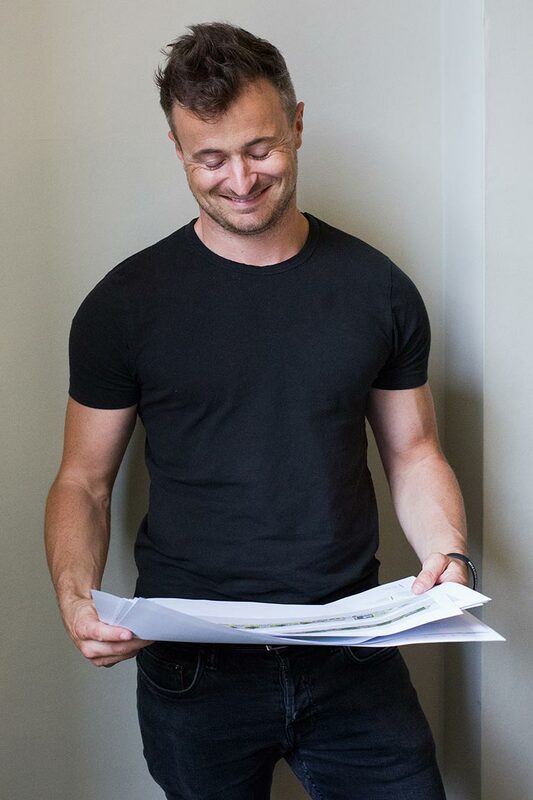 When an estate agent assessed the type of businesses that would be interested in the spaces, which was required as part of the funding process, they saw it as an extension of the business park next door, a very commercial entity. What turned out was a very different, vibrant hub of activity. When designing it I had in mind little artist studios, little shops, that kind of thing, whereas the estate agents thought it would be garages and mechanics, or businesses that needed storage space, like window fitters and so on. I don’t think they envisaged the local community using it. In terms of the individual spaces, what we provided was quite neutral and stripped down so that people could customise them as they please. 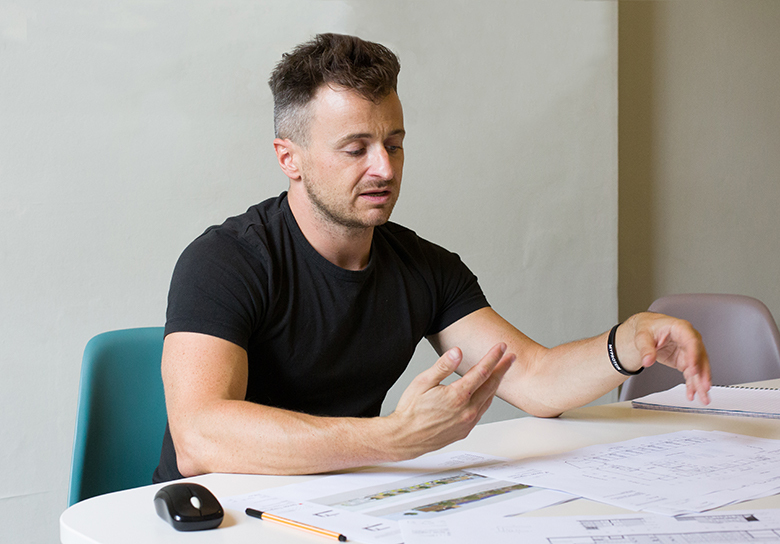 The size of the units was key, they needed to be suitable for different businesses as they progress through the stages of their lifecycle, and not too daunting; start with a little studio and grow into a larger manufacturing space. So there are lots of scenarios and combinations we designed for. A key part of the brief was also to facilitate chance encounters between the users. To achieve that there are some slightly unusual design features that give it individuality. 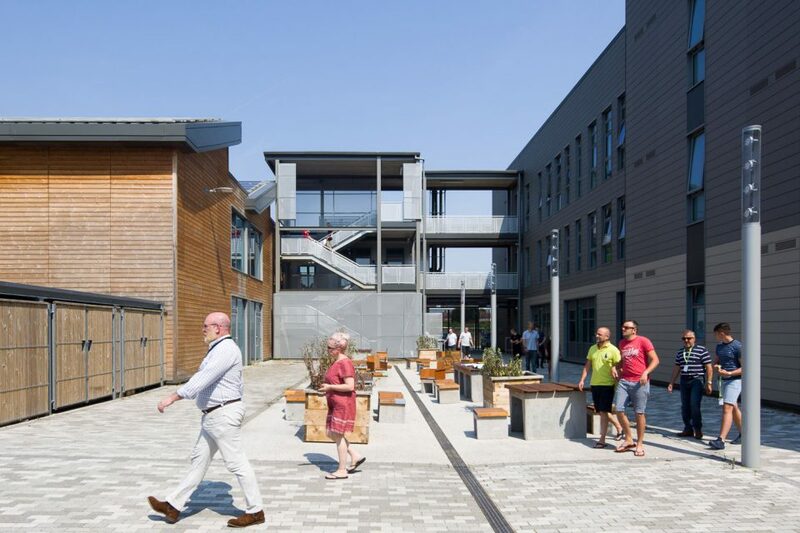 The kitchens and toilets are outside of the units, and with the external staircase off the central courtyard, people have to move around the site so they end up bumping into each other. The impact of all these things has been fantastic. Lots of bustling, personalised spaces for the businesses to feel at home, where they all trade with one-another, and hopefully continue to flourish. When designing the internal spaces we had in mind workshops, artist studios and small shops. All of the units are neutral, stripped down and easily customised; suitable for different businesses as they grow. A key part of the brief was to facilitate chance encounters between the users. 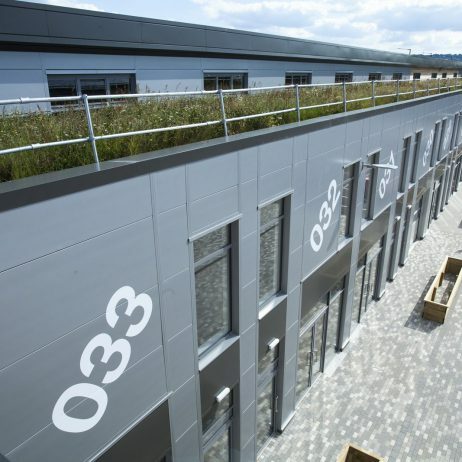 To achieve that we created some unusual design features: kitchens and toilets are outside of the units, and, with the external staircase off the central courtyard, people have to move around the site and end up bumping into one other. Read about Filwood Green Business Park’s impact on the small businesses in Inhabitant at the bottom of the page. 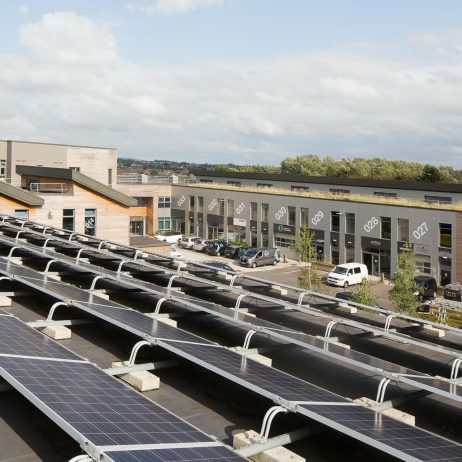 During the European funding process, the business park was required to meet a BREEAM ‘Excellent’ rating of over 70%. It achieved 93%. This put it well into the ‘Outstanding’ category, saving an estimated 46 tonnes of carbon annually (or, using the classic double decker bus measuring stick: 276). 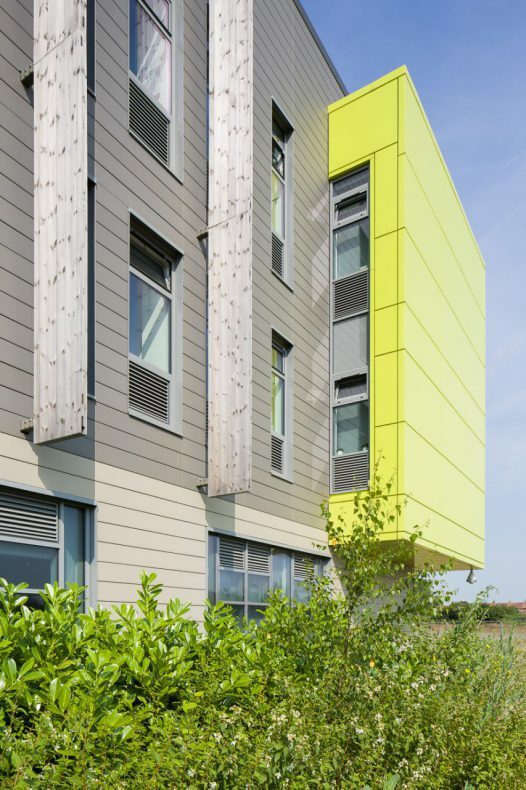 It has a green roof, was built using high performance materials and only lets businesses with green credentials rent the spaces. Furniture was even produced by Bristol Maker Lab, a community scheme set up by Knowle West Media Centre that you can meet below in Inhabitant magazine.